CAN YOU BE HYPNOTIZED TO REACH YOUR GOALS? Thank-you for your interest in hypnosis. You are one step closer to reaching your goals. FIND OUT HOW YOU are a natural or ideal Candidate for Hypnosis to reach your goals in the NEXT 30 DAYS! 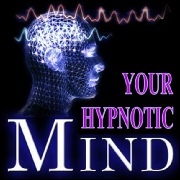 Can You Be Hypnotized to Reach Your Goals and Dreams? You are a Natural Candidate for HYPNOSIS! Your Results Reveal that YOU CAN BE HYPNOTIZED TO REACH YOUR GOALS ! and include the goals described in your Success Score. For each “Yes” Answer, Give yourself a Score of 20 Points. Add Together All your “Yes” Answers for a possible Total Score of 100. To Schedule Your Hypnosis Session Today!